Fire safety legislation requires that all premises must have the means of raising an alarm to notify occupants in the event of a fire. It also requires than an automatic fire detection system may be required when deemed necessary by the fire risk assessment. There are many types of fire alarm system available. There are numerous categories of design, in accordance with the requirements of British Standards BS5839-1:2002+A2:2008 for commercial premises. 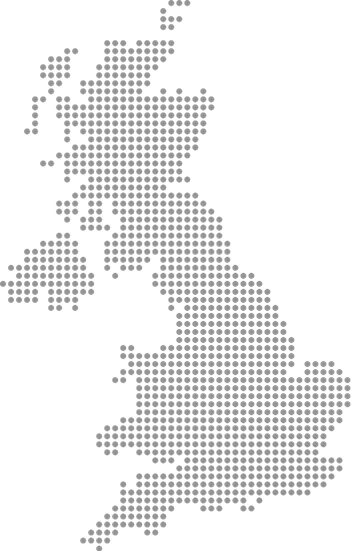 British Standard BS5839-6 applies to residential property. It is a requirement of British Standards that all fire alarm systems are subject to an appropriate maintenance programme. This will usually entail a minimum of two routine maintenance visits per annum, no greater than 6 months apart. In addition, users must test the system on a weekly basis by simulating the activation of a manual call point. These should be tested in rotation. All testing and maintenance should be recorded in a fire log book. Legislation requires that emergency lighting is required for an emergency situation, when the main power supply is cut and normal illumination fails. The loss of mains electricity could be the result of a fire, or a power cut. This may lead to sudden darkness and a possible danger to the occupants, either through physical danger or panic. Emergency lighting is normally required to operate fully automatically and give illumination of a sufficiently high level to enable all occupants to evacuate the premises safely. Most new buildings now have emergency lighting installed during construction; the design and type of equipment being specified by the architect in accordance with current Building Regulations and any local authority requirements. The British Standard BS 5266-1: 2011 provides the emergency lighting designer with clear guidelines to work to and embraces residential hotels, clubs, hospitals, nursing homes, schools and colleges, licensed premises, offices, museums, shops, multi-storey dwellings, etc. It is your responsibility to ensure that the work environment is safe and that any potential hazards are marked clearly with appropriate signage. It is a further requirement that the final fire exit should be clearly visible from anywhere in the premises. If this is not possible then there should be sufficient and appropriate signage indicating the route to take to the nearest fire exit. 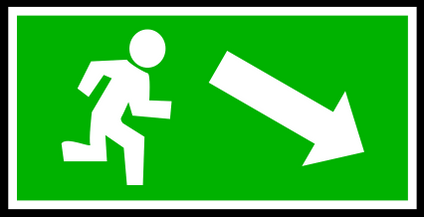 In addition to directional exit signs, there are many other fire safety signs that may be required in a building. Fire safety legislation requires that you provide “the appropriate means for fighting fire as is suitable and reasonable.” Invariably, this means you are required to install portable fire extinguishers in appropriate locations. When deciding upon which extinguishers to install, it is vital to take advice from industry professionals who will take account of all present risks. It is useful to be aware of the different kinds of fire extinguisher available. It is a requirement of British Standards that all portable fire appliances are subject to an appropriate maintenance programme. This will usually entail one routine maintenance visit per annum. In addition, the user needs to inspect all extinguishers on a regular basis to ensure they are in the correct location and that there is no evidence of tampering or loss of pressure. All inspections and maintenance should be recorded in a fire log book. Contact our fire safety consultants for more information about the assessments and training we provide.